Rich Schefren made his name with his free reports and they are still available if you know where to look. To get the first three – the Internet Business Manifesto, The Missing Chapter and The Final Chapter go to The Profit Vault. You also get access to some videos. These three reports set the scene for his Business Growth System coaching program which is for people who are serious about building a successful Internet business (rather than those who just want to make a bit of extra pocket money). The next report from Rich Schefren was the Attention Age Doctrine and the Attention Age Doctrine 2. The original AAD is only available through buying a product like the Founder’s Club membership but the second report is still available. In this report (from 2008) Rich saw the changes coming with social media and the difficulty of getting and keeping the attention of your market. This promoted a product called the Business Acceleration Program. The Maven Matrix Manifesto was written with Jay Abraham and it’s about how you become identified as the go-to-guy in your market. This also led into a course, Maven marketing. The final free report from Rich Schefren was the Uncertainty Syndrome (also known as the Entrepreneurial Emergency) which brought the Theory of Constraints to Internet marketing. It then led on to the excellent Guided Profit System course. Since then Rich has carried on writing excellent reports but they haven’t been available to the public. Instead they’ve been locked away in a membership site called the Founders Club. It’s never been pushed hard but I think you’ll love it and you get to read many more of his reports which are just as good as those that made him famous. Rich has used his membership website, The Founders Club to release issue clients only reports. Sometimes there is an offer that lets you trial the Founders Club for free or for a token price for the first month. I recommend it very highly. 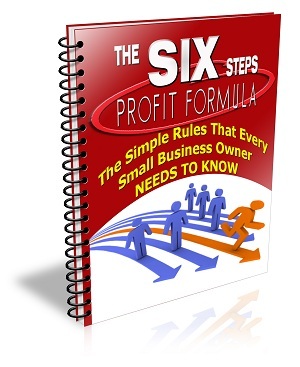 Links to the Strategic Profits websites for the free reports from Rich Schefren and the Founders Club are affiliate links and if you go on to buy, I will be paid a commission.